Voicebot’s Bret Kinsella and Ava Mutchler are heading out on the road for some upcoming conferences. If you are heading to New Jersey next week for Voice Summit or Boston in August for The Voice of Healthcare Summit, we hope you can attend our sessions and that we get a chance to meet the voice revolutionaries that make up Voicebot’s readership. Voicebot readers know that we like data. This presentation will go deep into both industry adoption data and the market structure of the new voice ecosystem. And, it will be fast paced because this is a big topic, we only have 30 minutes and intend to leave time for questions. Attendees will come away with a more knowledgable and sophisticated view of the voice AI industry dynamics and trajectory. 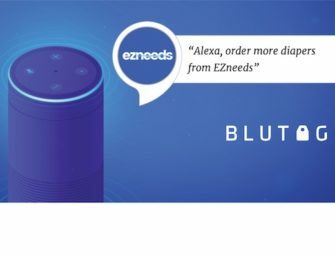 This presentation breaks down research into the initial experiments of voice commerce through voice assistants, how consumers are reacting, and how retailers, brands and media should evaluate the opportunities and challenges. There will be data, voice app examples and a gauge of consumer sentiment. Attendees will learn about the current voice commerce capabilities on Amazon Alexa and Google Assistant as well as the difference of voice shopping on mobile and the prospects for widespread consumer adoption. The Voice of Healthcare Summit is focused on “examining the growing intersection between modern healthcare and voice-first technology.” Hosted at the Harvard Medical School conference center in Boston, the one-day event will be held on August 7th. This is the first event dedicated to the intersection of voice technology and the healthcare industry. If you haven’t registered yet, you can save 20% using the code VOICEBOT2018. Bret will be attending and speaking on the main stage. Smart speakers represent the fastest growing technology product category according to several analysts. Voice assistant usage on smart speakers is accelerating use on other devices, particularly smartphones. The presentation will review consumer market adoption today, the trends driving the industry and how that is likely to impact healthcare. Attendees will come away with a clear picture of where voice adoption is today in the U.S. and how that will influence use in healthcare use cases.